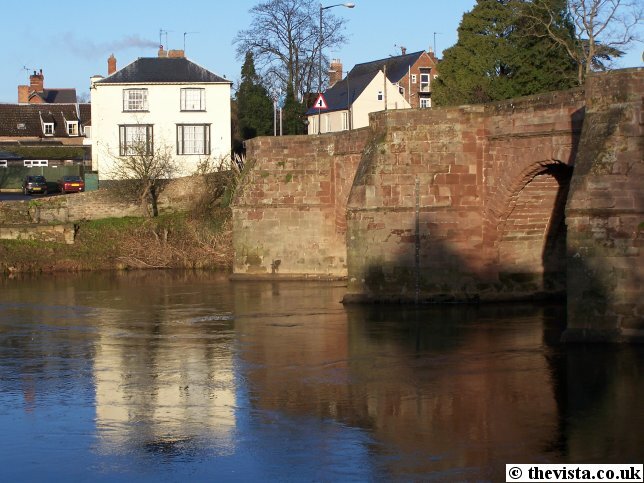 These are some old photos and postcards of places in the vicinity of Ross-on-Wye. 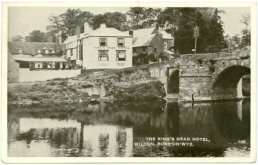 A recent photo of the site of the King's Head Hotel in Wilton. 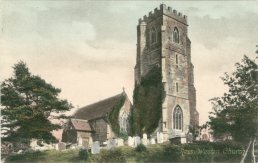 A postcard (circa 1900 - published by Frith's - no. 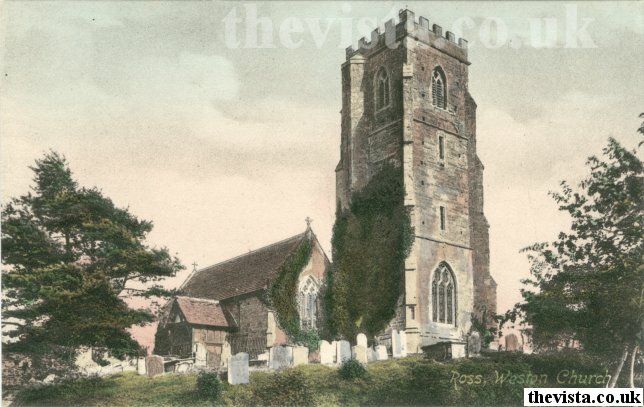 54493) view of Weston Church near to Ross-on-Wye. 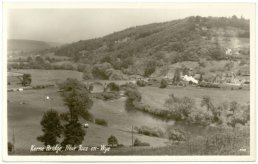 A postcard (circa 1952 - published by Frith's - no. 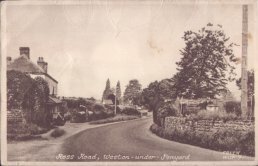 WUP 9) view of the Ross Road at Weston-under-Penyard near to Ross-on-Wye. 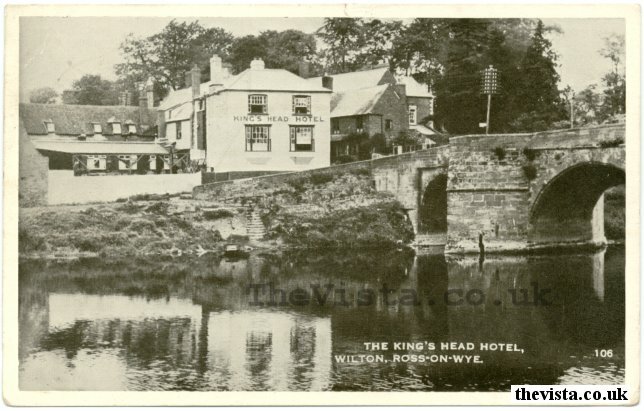 Behind is Post Office Corner where the post office used to be, to the left is the site of "The Forge" in Weston and to the right is the Weston Cross Inn. A postcard (published by Frith's - no. 54490) titled "Ross, Bollitree Castle" showing a view of Bollitree Castle near Weston-under-Penyard and Ross-on-Wye. Bollitree Castle is made up of a house, which is believed to date back to the 15th century, and various out buildings. 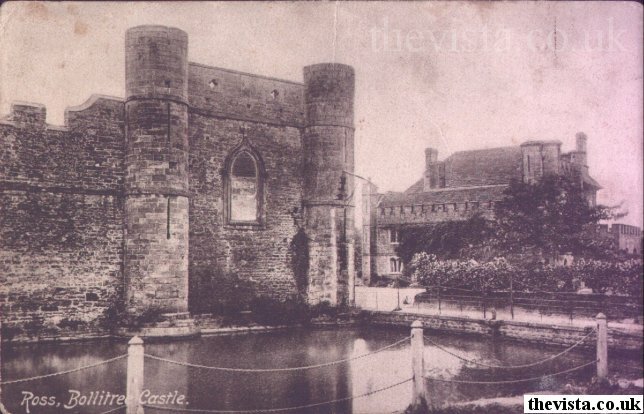 The mock 15th century castle with its crenellations and Queen Anne façade was added by one of the family and was actually built in the 18th century. 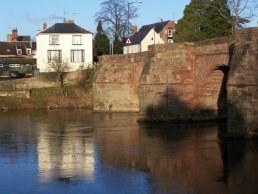 In 1776, Walter Meyrick, who was a Parliamentarian who fought against Charles I in the Civil War, left what was known as Bollitree House to his nephew, Thomas Hopkins [Merrick], from Pencoyd. Thomas added the castellations and moat because he was in love with a Spanish girl who refused to live in "wet and draughty old England" and who wanted to live in a castle. She spurned him so after his death it is reputed that Thomas’s ghost haunts the lawn on which he built a lake and ha-ha, both of which still exist. Later in 1785, Thomas Hopkins Merrick also destroyed the site of Ariconium which was a mass of scrub, weeds, briars and a few remaining walls. Since then all that marks the site is broken tiles, stones and ancient iron slag. Earlier, in 1445, Richard Ap Meryk was born at Bollitree Castle and he became Richard Amerike and moved to Bristol. Here he became a very wealthy merchant and was a founder member of Bristol's "Society of Merchant Adventurers". This meant he had his own Merchant's Mark which was the equivalent of a modern trade mark showing his status within the society. Then in 1497 a Richard Amerike, possibly the same one, became the chief sponsor of John Cabot's expedition to New Foundland. It has been suggested that the new land was named after him as a reward for his sponsorship. Furthermore, his coat of arms was a shield of stars and stripes which could well have formed the basis of the American flag. Usually there are ducks on the pond who are partial to being fed. 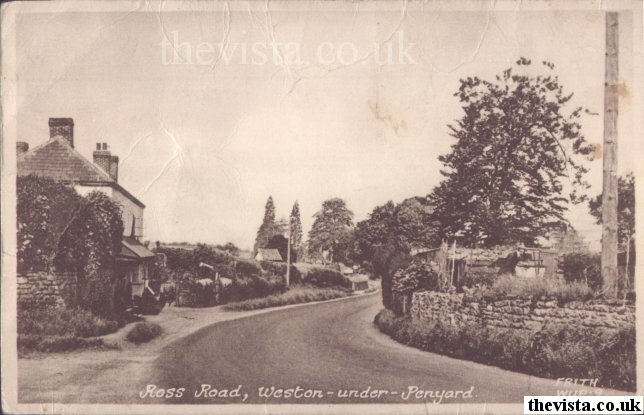 My Gran used to live in Weston-under-Penyard and one of my earliest memories as a child was walking up to the pond to feed the ducks. Here we see a postcard view of Kerne Bridge (published by Lilywhite - no. 499) with Kerne Bridge railway station seen to the right side of the shot. There is an auto train in the station being pushed by 1400 class 0-4-2T ‘auto tank’ locomotive (possibly no. 1425 or 1445 both of which regularly ran the line) with it's auto trailer which were commonly used for local passenger train services.